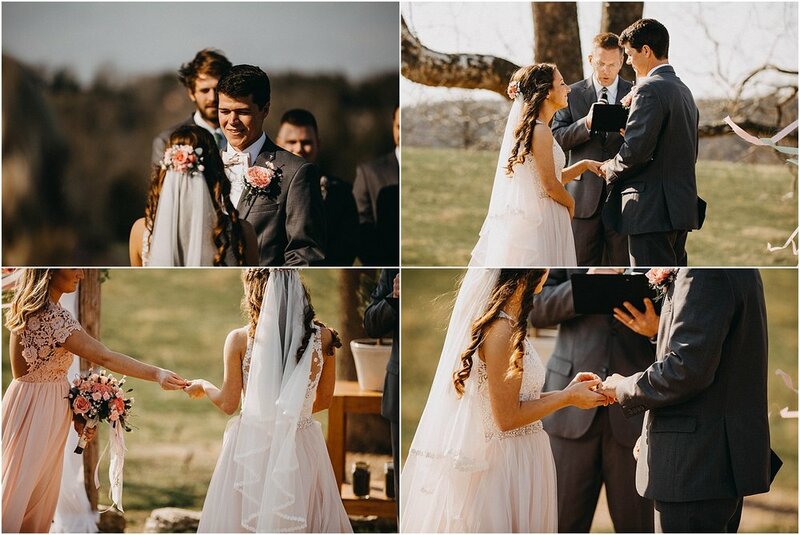 I asked Stephanie and Matthew before their wedding day what they were most excited about and they said "Being able to visit with our closest friends and family, wearing our fancy clothes, and being able to marry my best friend. We are excited to finally be married and start going on adventures together as husband and wife." If that didn't make you smile, I also asked them when they thought of being married, what thoughts and emotions came to mind? They said, "We think of living happily ever after, just like a fairytale. And making each other laugh until we cry and cheering each other up when the other is in a bad mood. We think of living life with our best friend and sharing a home, together for always." I'm so thankful for Stephanie and Matthew's friendship and trust. From letting me stay with them the night before, to giving me full creative freedom on their wedding day. I even had several bridesmaids, friends, and family members send me the sweetest compliments and encouragement afterwards. It's weddings like this that make me so excited about what I do! Huge S/O to the amazing vendor team. The bridal party and family stayed the night before the wedding at Happy Valley Lodge which has the darn cutest little triangle cabins. 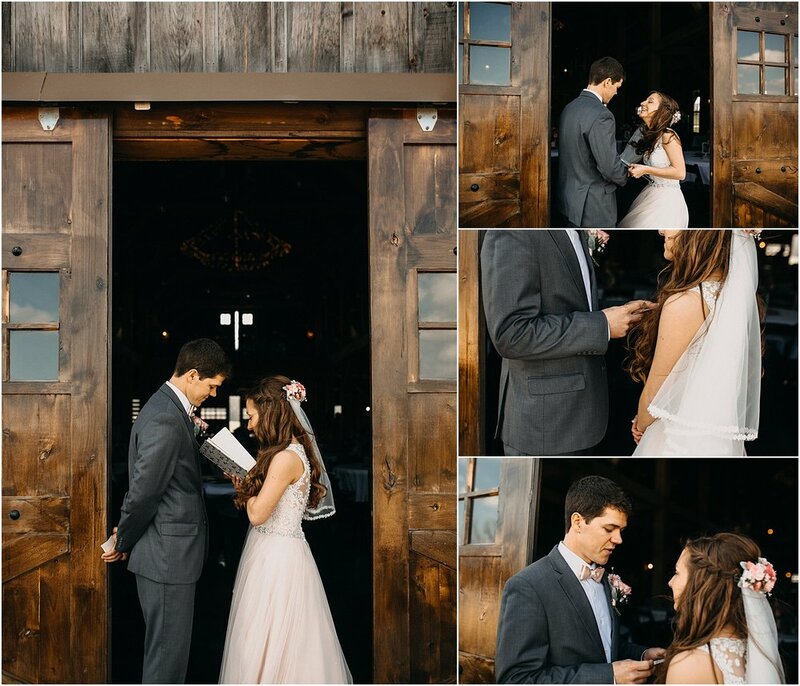 Their wedding ceremony and reception was at Sycamore Creek Family Ranch. Stephanie's ring is from Helzberg and her stunning blush pink wedding dress from the Allure Bridal line at Gracie’s Bridal. Her makeup was done by Gabi Menard. The bridesmaid got their dresses from Lulus, shoes from Payless, and their beautiful pink flowers were done by friends Crystal Harvey and Janice! Matthew rented their tuxedos from Jon’s Suit Shop and his ring is from Shane Co. The cake from Bonnie’s Bakes was absolutely delicious and I have never had more delicious green beans and cheesy potatoes than from Catering Creations. And the invitations were ordered through Maxim Creative Invites. 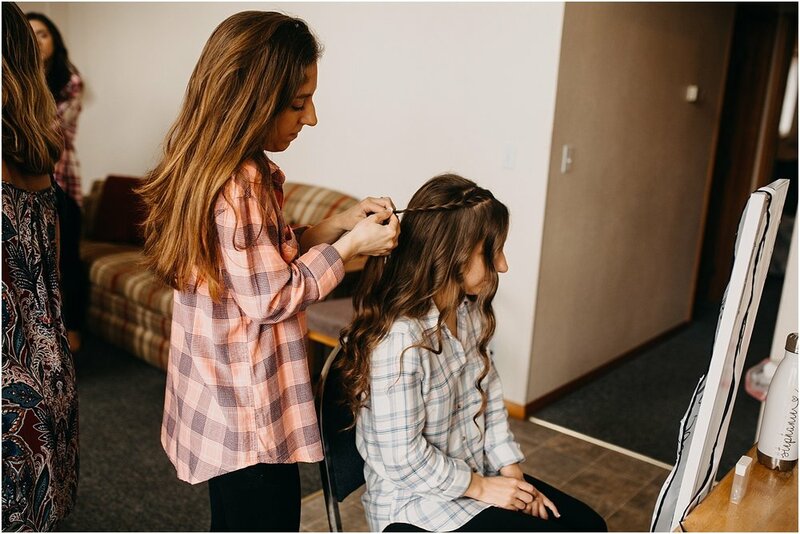 Also, big thanks to the wedding coordinator, Katelyn Reynolds for being so helpful throughout Steph and Matt's wedding day! STEPHANIE & MATTHEW ~ LET THE FUN BEGIN! Stephanie sent her sister to give Matthew a journal with handwritten notes. Matthew made this ring box for Stephanie. I'm AMAZED. *ring ring* THEY ARE HUSBAND AND WIFE!